Property 15: Arcachon center, studio direct access beach, exceptional sea view. Bay of Arcachon "La Douiria" quiet studio. Property 21: Bay of Arcachon "La Douiria" quiet studio. Property 22: Arcachon-180 ° sea view !! Appt 63m2 2/4 people, terrace. Property 23: Near Arcachon. superb contemporary T3 facing the ostrich port of La Teste. 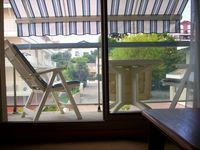 Studio with balcony Arcachon quiet and bright, near beaches and downtown. Property 31: Studio with balcony Arcachon quiet and bright, near beaches and downtown. The property was perfect. Modern. Well located, and owner and property manager delightful.